A fully renovated & refurbished B&B situated in the coastal village of Stoke Fleming, less than a ten minute drive from the naval port of Dartmouth and only a ten minute walk to the award winning beach at Blackpool Sands. To ensure that we maintain the high standards that we believe we have achieved, we refurbish annually during the Winter months. All of our bedrooms are immaculately clean and are spacious and tastefully decorated and all en-suite facilties are also fitted with modern appliances (thermostatic, pressurised showers etc) - sometimes its the little things that really matter!! Dogs are extremely welcome at no additional charge (but please do ensure this is arranged with us either at the time of booking or before your arrival date). 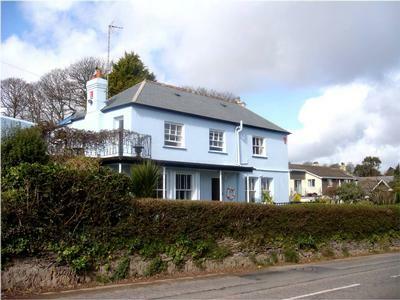 Located in the heart of the village of Stoke Fleming (which is less than three miles from the historic naval port of Dartmouth. )The award winning beach at Blackpool Sands is only ten minutes walk away. Contact Channel View Guest House B&B Dog Friendly Devon for Enquiries and Availability.